One DeKalb County School District (DCSD) senior has taken her love for science nationwide, earning $25,000 from one of the most prestigious science and math competitions in the United States. 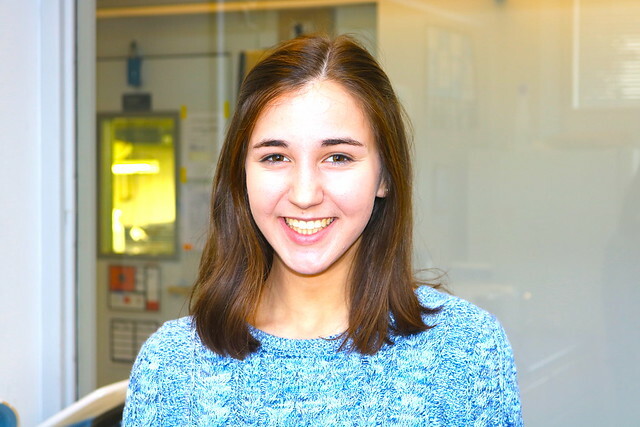 Lakeside High School senior Zoe Weiss named a top 40 finalist in the annual Regeneron Science Talent Search. As a finalist—the first from Georgia since 2014 in the competition—Weiss will receive $25,000. Weiss was recognized for creating an algorithm to detect rare cell types from single-cell gene-expression data, which can help detect early disease diagnosis. In all cases that were examined, her algorithm was able to detect rare cells, including one which could prove to be a new type of brain cell. Weiss hopes that her work may enable earlier diagnoses of diseases and provide new insights into cell changes. Often referred to as the “Super Bowl of Science,” by such luminaries as former President George H.W. Bush, the Regeneron Science Talent Search is one of the country’s oldest and most prestigious science and math competitions for high school students. Weiss was also named a 2019 Coke Scholar with Dunwoody High School student Noah Covey.